Source is a new tool to help you find, compare & price building products in 3 simple steps, and without any of the normal tedious research tasks. Submit some basic project details and some information about what you are looking for (quantity, budget, important requirements etc.) along with any images or drawings which might help. We automatically match your requirements with product manufacturers who may be able to provide a solution, and invite them to provide the relevant information about their product(s). You will receive a curated email with details of the most relevant products, allowing you to choose which (if any) of the products you like and which of the manufacturers (if any) you would like to communicate with further. We DO NOT pass your details to any manufacturers until you have indicated you wish to contact them, or for them to contact you. Give it a try for free today. 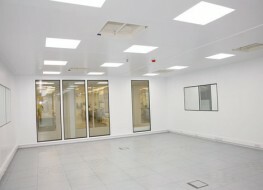 Want personalised Ceiling Suspension Grids recommendations, direct from manufacturers? Would you like to provide any additional information about your requirements? We’ve received your request and we’ll be in touch shortly (by email) with your product recommendations. Ceiling Suspension Grids create the framework around which you can construct and hang a suspended ceiling in any property. 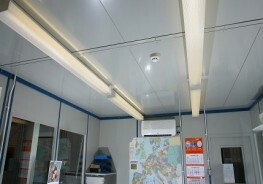 A suspended ceiling is an additional ceiling that is installed below the actual ceiling in a property. 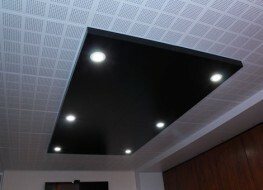 The Ceiling Suspension Grid is hung from the main ceiling using wires, and ceiling tiles or panels are then positioned between the grid’s tracks to form the suspended ceiling. 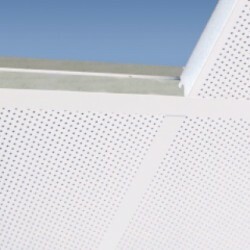 There are a wide range of insulation products on the market, including concealed ceiling suspension grids, exposed ceiling suspension grids, and fire resisting ceiling suspension grids. 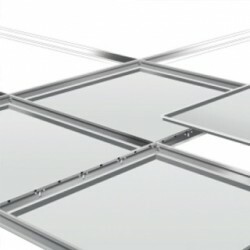 Using SpecifiedBy, you can source, specify, and compare Ceiling Suspension Grids from the largest range in the UK, including self supporting membrane ceilings, soundlight comfort ceilings, Focus Ds, exposed grids, and master matrix. Searching for products from leading manufacturers, such as Burgess Architectural Products, Ecophon (Saint-Gobain), and Promat UK, will allow you to obtain exact specifications with nothing more than a few clicks of a mouse. There are no products for your query. Building Product Research, Without the Hassle. Create a free account, to find, research, compare & price thousands of building products & materials all in one place. Removing the bookmarks also deletes the notes. © SpecifiedBy 2019. All rights reserved.